Your quilt top is gorgeous and the quilting is luscious! Now, it’s time to put the finishing touch on your beautiful project – the binding. 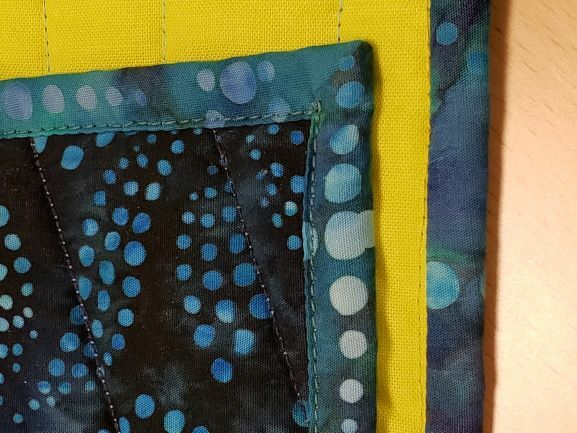 If the thought of binding makes you shudder, have no fear - in this 2 hour class, we'll show you the basics of easy peasy binding – how to measure for your binding, learning about different widths to cut, how to prep and apply your binding and, finally, connecting the two ends to finish it off! You'll be binding in no time at all! The pre-quilted fabric sample and binding strips will be provided! Scissors (small/medium is fine – don’t need large pair for this class).